HÀ NỘI — Hotel chain Hilton and Việt Nam’s BRG Group Jsc recently signed two hotel management agreements in HCM City and Vũng Tàu City. The two new facilities are branded Hilton Garden Inn and DoubleTree by Hilton, respectively. With these additions, Hilton now has 11 hotels in operation or under construction in Việt Nam, eight of which are owned by the BRG Group. 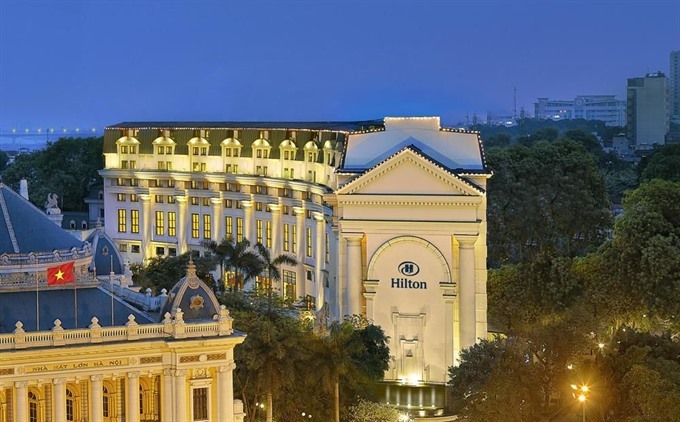 Guy Phillips, Senior Vice President Development - Asia & Australasia at Hilton Worldwide, stated that both hotels should play an important role in marking the continued expansion of the Hilton chain in Việt Nam. In the past three months, the company has signed three hotel management contracts in Việt Nam, showing the country’s potential for hotel business development. Nguyễn Thị Nga, Chairwoman of BRG Group, agreed with Phillips, saying that both the DoubleTree by Hilton in Vũng Tàu City and the Hilton Garden Inn in HCM City are the result of a long-term partnership between the two companies. She hoped that the new hotels entering the market would attract a large number of domestic and foreign tourists to Việt Nam. The Hilton Garden Inn is situated in District 1, HCM City, where most of the administrative offices, embassies and multinational companies are located. The DoubleTree by Hilton Hotel in Vũng Tàu City is located in the heart of an already popular tourist destination with coastal stretches and natural hot springs. By initial estimation, the two hotels will officially open in the first quarter of 2022.